THE third annual Red Day at Bymount kicked off with much fanfare on Saturday, as visitors from across the region donned their favourite red outfit and joined in the festivities. Red Day is a celebration of the life of respected Bymount community member, Jeff "Red” Dean who passed away three years ago and aims to raise much-needed funds for emergency organisations. 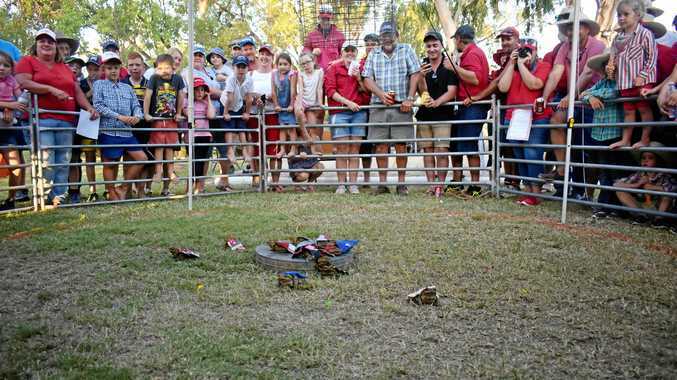 Among the many activities on offer were, yabby races, sack races, a silent auction and tug'o'war, which were all capped off by Red Day's signature event, the toad races. 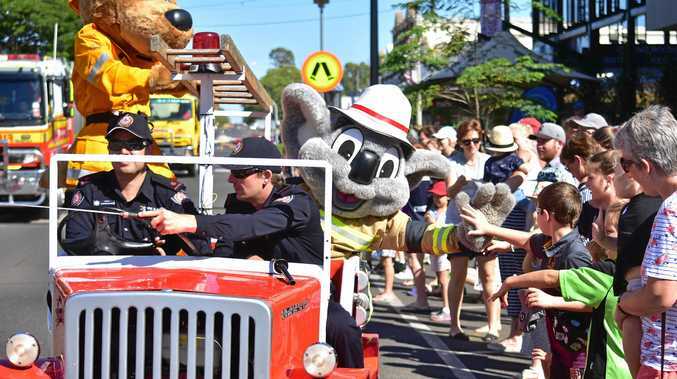 Bymount Community Centre president David Stanton said the day was a great way to give back to local emergency services who contributed so much to the community. "Red himself was a great believer in charities and making donations,” Mr Stanton said. South West Local Ambulance Service Network executive manager Loretta Johnson said the funds would go towards life-saving equipment. "We bought a defibrillator last year from the funds from Red Day and that will be here at the Bymount hall for the community to use, but let's hope they never have to,” she said. "The fact that the money that they raise goes back to the ambulance committees and that's something that we really appreciate. News A push by the State Government to 'go west' is expected to drive more people to Roma's Easter celebrations this year. News Local kids had a chance to entertain at Easter in the Country.